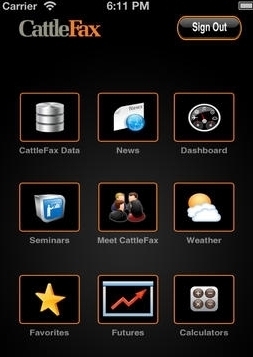 (http://www.cattletalkmobile.com/home/) and CattleFax (http://www.cattlefax.com/mobile.aspx). Both are free, but to get the most out of the second one, you'd need to be a subscriber to CattleFax (http://www.cattlefax.com/default.aspx). Both allow you to access USDA market reports. California data is a bit limited or non-existent on the free versions. 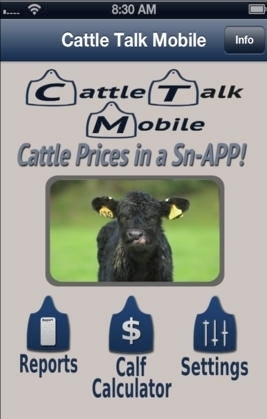 The Cattle Talk Mobile web site states that the developer is interested in adding more states and is willing to incorporate auction markets not listed. It would be great if Northern California auction markets like Shasta Livestock Auction Yard (http://www.shastalivestock.com/shastacurrent.htm) or 101 Livestock Market Inc. (http://www.101livestock.com/marketreport.htm) would contact the developer so those reports were available on a smartphone. These days most cattle producers have cell phones and these two apps are a convenient way to keep up to date on the markets. marketing studies, done as part of the Meat Industry Capacity and Feasibility Study of the North Coast Region of California, we know that it's possible to command a 30 percent or more price increase for organic meat products (see page vi of Executive Summary at http://cemendocino.ucanr.edu/files/44389.pdf). As those producers who are in this market niche will tell you, however, it is not an easy endeavor to become organic. Fortunately for those of you wanting to try, the USDA Agricultural Marketing Service has two documents that are beneficial to read. The first, published in November of 2012, is entitled Guide for Organic Livestock Producers. It may be found at http://www.ams.usda.gov/AMSv1.0/getfile?dDocName=STELPRDC5101543. A second fact sheet entitled Organic Livestock Requirements was released in February of 2013 and is available at http://www.ams.usda.gov/AMSv1.0/getfile?dDocName=STELPRDC5102526. This second publication is especially useful in spelling out the requirements for grazing ruminants. It even has a link (http://www.ams.usda.gov/AMSv1.0/NOPProgramHandbook) that will take you to the newly revised National Organic Program Standards Handbook and in it you will find links to help you calculate the dry matter intake (DMI) requirements for access to pasture http://www.ams.usda.gov/AMSv1.0/getfile?dDocName=STELPRDC5096778. 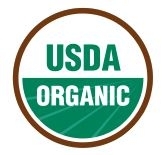 In addition, you may find the following link http://www.ams.usda.gov/AMSv1.0/organicinfo very useful to help you decide if organic production is for you.